Sony Pictures announced today that they are heading to San Diego Comic-Con 2014 later this month to present Goosebumps and Pixels to fans. Goosebumps star Jack Black will hit the Hall H stage with director Rob Letterman, while Pixels director Chris Columbus will reveal how fans can win a walk-on role in the movie. Take a look at the official panel description, then read on for more details about a Pixels arcade that will also be set up at the Con. Join Columbia Pictures in the Indigo Ballroom for your first look at two of next summer's most anticipated films. 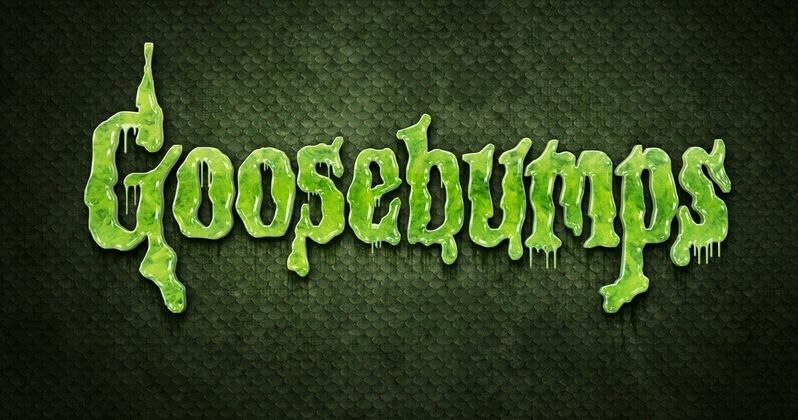 First, Scholastic's iconic book series Goosebumps, written by R.L. Stine, has already captured the world's imagination - selling over 400 million books worldwide. Now, it's coming to the big screen, with Jack Black starring as the author himself and Rob Letterman directing. Jack and Rob will tell you all about how Stine's monsters are coming to life on the big screen. The film hits theaters on August 7, 2015. Then, stay tuned as director Chris Columbus has a special video announcement about his upcoming film Pixels, starring Adam Sandler (in theaters May 15, 2015) - you'll find out how one lucky Comic-Con badge-holder might win a chance for a walk-on role in the movie. Arcaders 13 years of age and older with Comic-Con badges will have the chance to engage with original, 80s-era classic arcade games at the Pixels Electric Dreams Factory arcade at the Hard Rock Hotel - and expert gamers will have the chance to win a walk-on role in Pixels, starring Adam Sandler, Kevin James, Michelle Monaghan, Peter Dinklage and Josh Gad. Each day, the top-five scorers on the leaderboard by the end of the day on any of the eight participating games will be automatically entered in two drawings: a daily prize drawing for a chance to win a PlayStation 4, and the grand prize drawing for a chance to appear in a walk-on role in Pixels. Official Rules* and restrictions are available on-site at the Electric Dreams Factory arcade. * No Purchase Necessary to Enter or Win. Pixels - Electric Dreams Factory Arcade ("Sweepstakes") consisting of 4 "Daily Drawings" and 1 "Grand Prize drawing" (each a "Drawing") starts at 9:00 a.m. PT on 7/24/14, ends at 5:59 p.m. PT on 7/27/14 and is available for game play/entry during the Arcade posted hours of operation. Game play must start 1 minute prior to the close of the posted Arcade hours and will end upon the earlier of the conclusion of game play or 30 minutes after the close of the Arcade. Sweepstakes open only to registered badge holders for Comic-Con 2014 San Diego, CA who are 13 years of age or older. Subject to complete Official Rules. See Official Rules at Arcade for complete details.